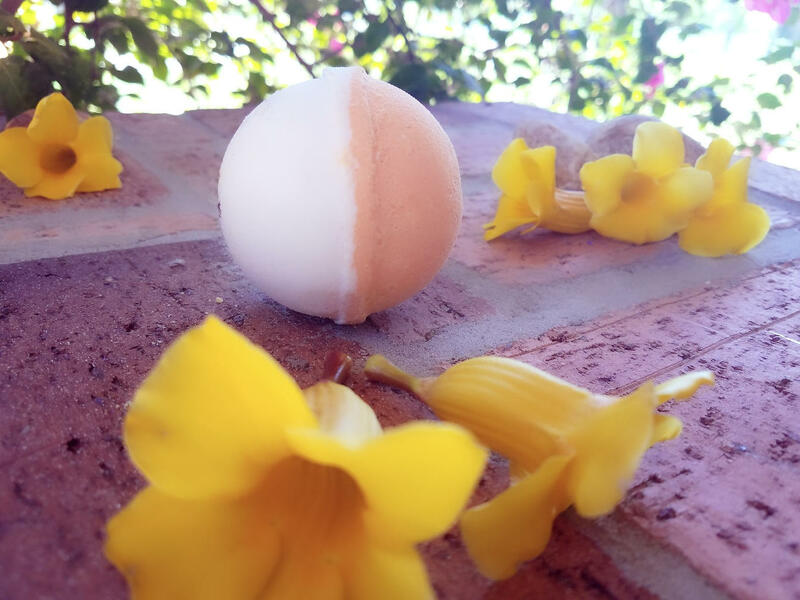 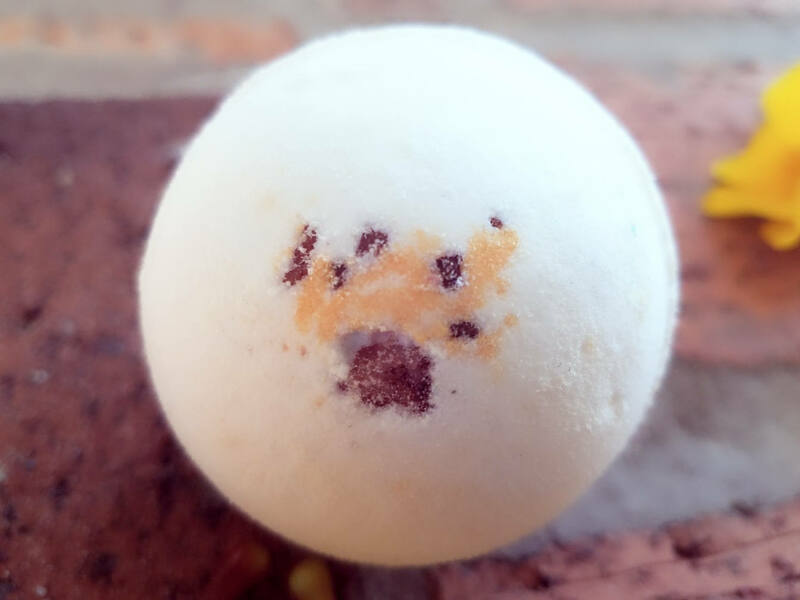 This Oatmeal Milk and Honey handmade bath bomb weighs approximately 4.5 oz and is roughly the size of a tennis ball. 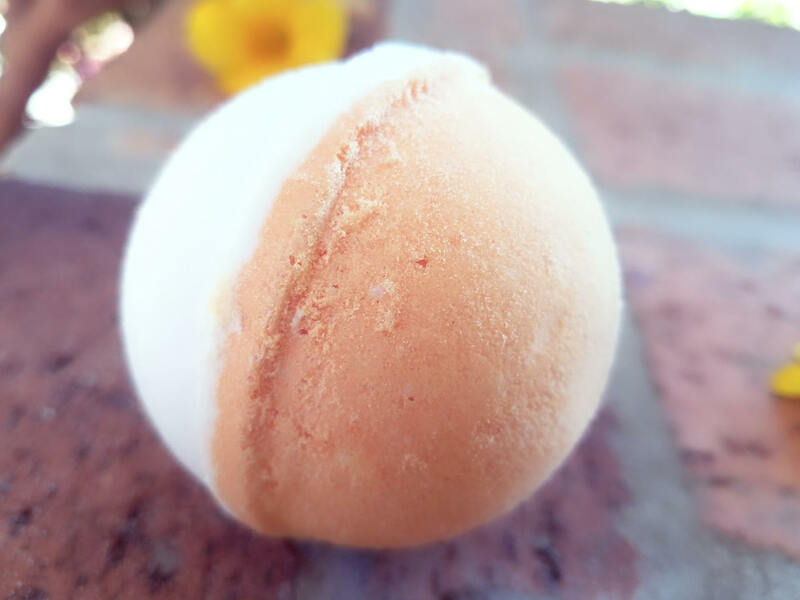 Half orange bath bomb and half white bath bomb with brown sea salt accents. 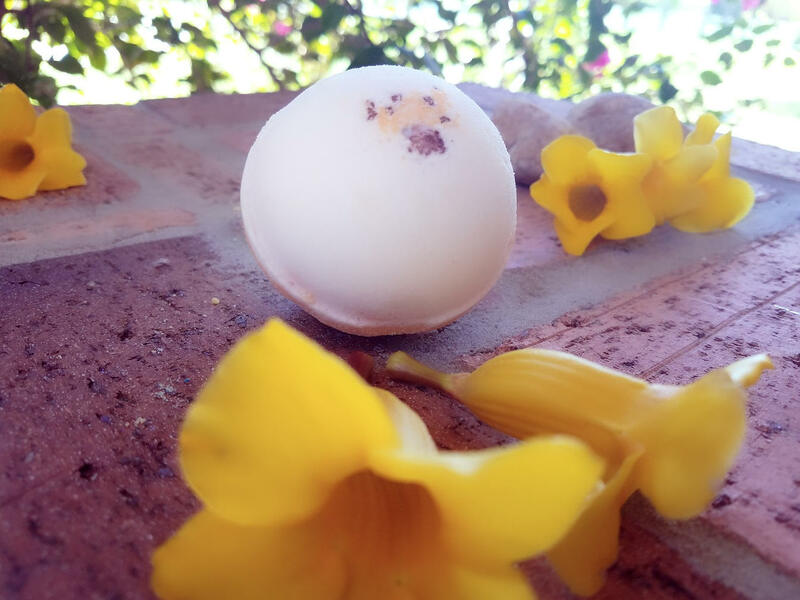 Enjoy a delightfully clean and fresh, fragrant bath with our luxury bath bomb "Oatmeal Milk and Honey". 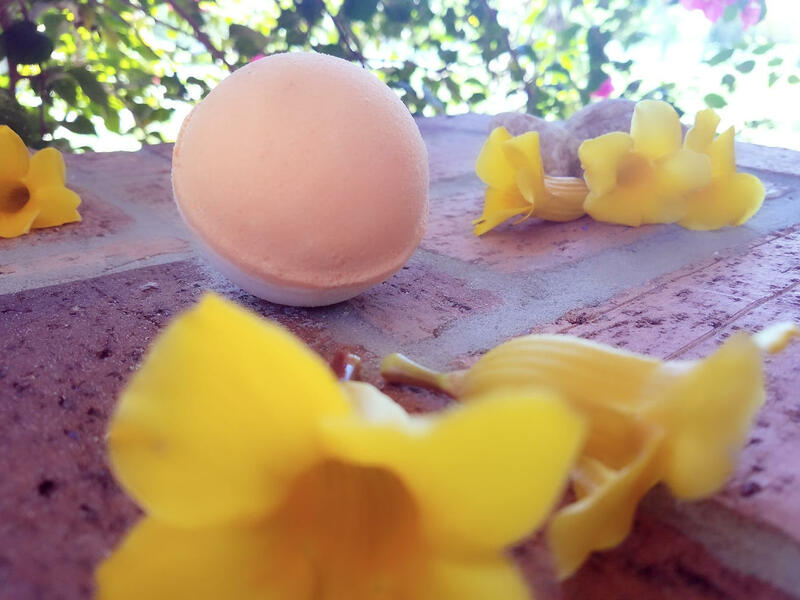 Rejuvenate your senses with the aromatherapy of sweet oatmeal and honey with the creaminess of milk.